Losing your hair comes with age. It’s a natural thing that one can hardly ever fight. The vast majority of men will begin experiencing or seeing their hair thinning or even falling off by the time they reach 36. Later on, by the age of 50, most men will already have one form or another of baldness. 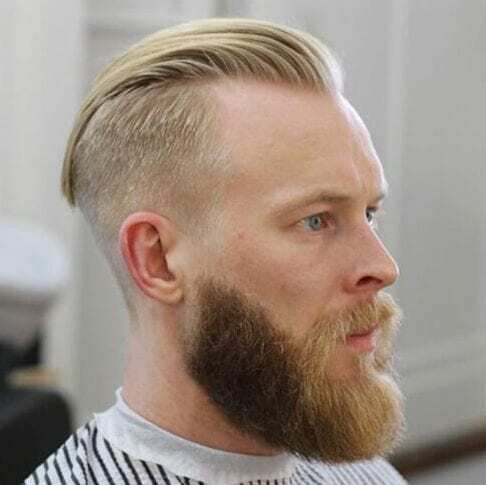 One of the easiest ways in which one can cheat the passing of time a little longer is by adopting the appropriate hairstyles for men with receding hairlines. In that sense, we have put together a list that will inspire you. 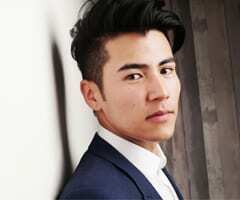 One of the easiest and most modern ways in which you can hide the beginning of a receding hairline is by turning to slick back hairstyles for men with receding hairlines. Not only will they mask your thinning hair but they are very cool as well. Come on, admit it. Some days it seems like you’re in a one-sided relationship with your hair. Therefore, why not treat it as such? Part it on one side and sweep it across the crown of your head. 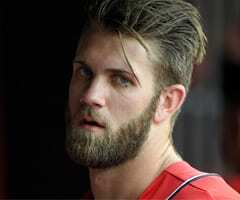 In this way, it won’t look like it’s thinning at all. If there’s one thing you need to remember when you have thin hair, it’s this one. Messy is your friend. 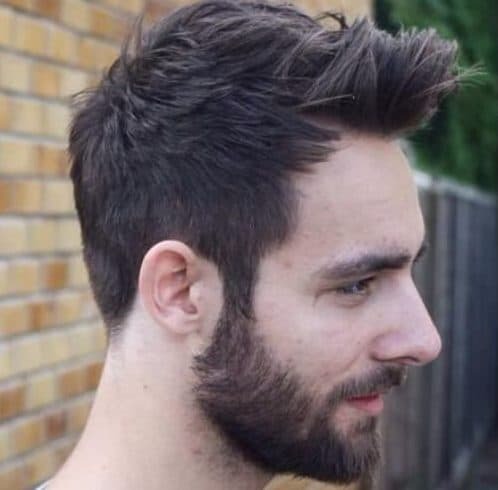 Therefore, if you’re keen on getting that super short, almost buzz cut that you’ve always loved, at least try to make it messy for extra volume. 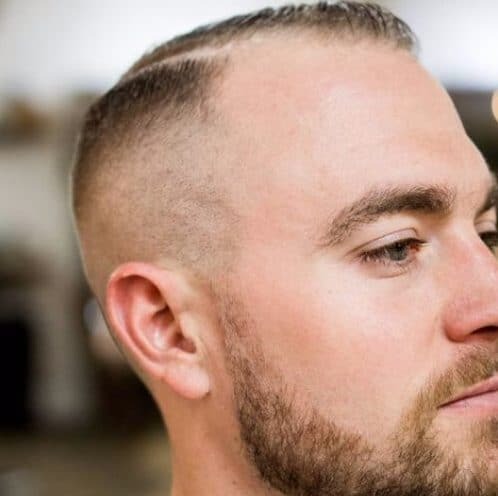 There are many hairstyles for men with receding hairlines out there, but none quite as successful as this thing that hipsters have come up with. It’s called the unicorn quiff. 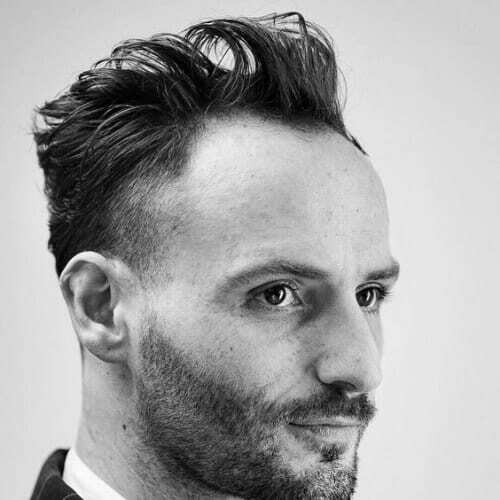 You need to pull your hair and bangs to the front which will, inevitably, cover up your receding hairline. Yes, believe it or not, the king of haircuts himself struggles a bit with losing his hair. 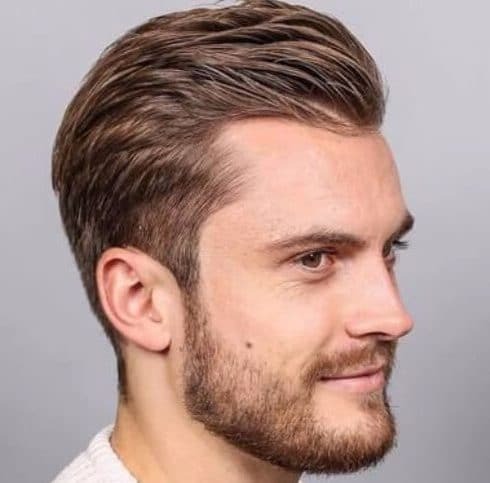 That’s why he has come up with some hairstyles for men with receding hairlines, such as this one which is, basically, a shorter version of the unicorn quiff. 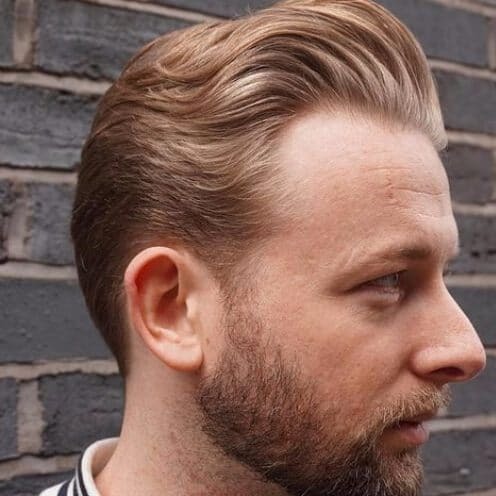 Here’s a great idea when it comes to hairstyles for men with receding hairlines. 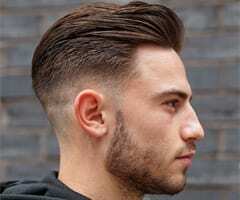 It’s an off the face taper fade that also has a slicked back pompadour and a lovely trimmed beard. 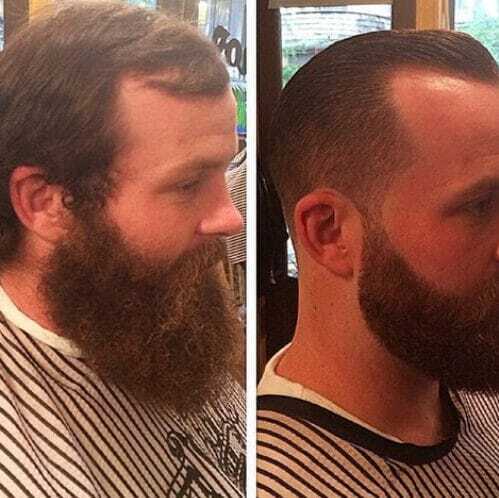 You can already see the effects in the before and after shot. 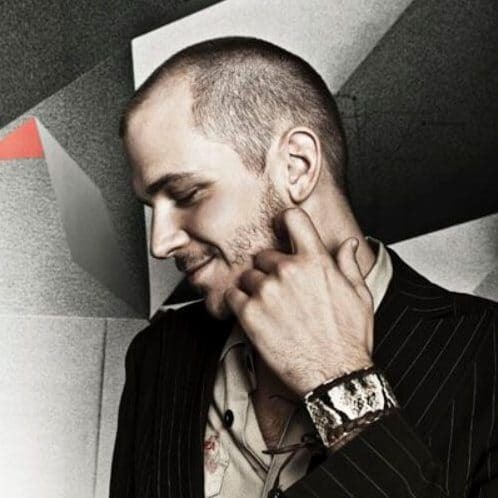 The under shave is perfect as far as hairstyles for men with receding hairlines go. 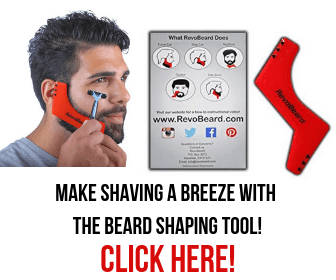 The reason is that while you still get to keep the luscious part of your hair that’s on top, the shave itself will blend right into the balding areas. 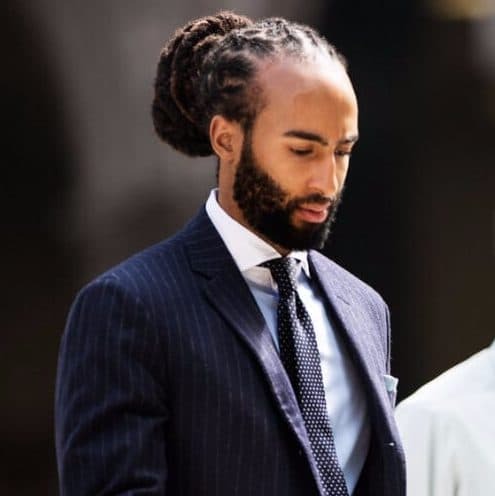 That fine line and period of time in a man’s life that comes between his younger years when he still has a full head of hair and right before he starts seeing the effects of male pattern alopecia is called a mature hairline. Now you know! A major thing you need to start doing if you notice your hair is growing thin after a certain age is to invest in high-quality hair care products. They will not only help you style your hair better but they will protect it from further damage as well. Now here is an optical illusion worthy of a magician. 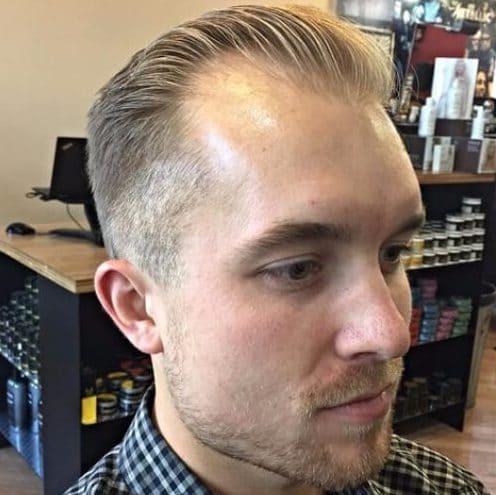 The classic receding hairline can be hidden away with the help of a hard part and a layered comb over. 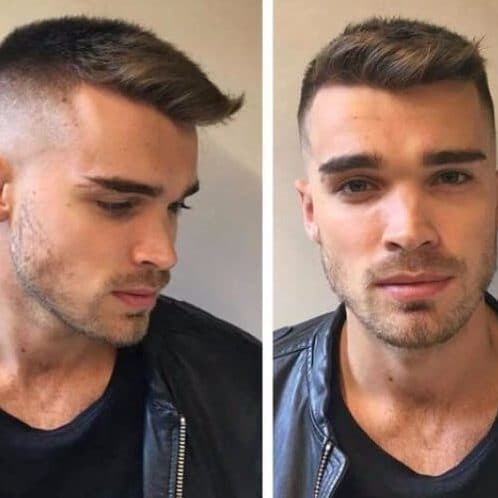 As luck has it, this hairstyle is extremely fashionable right now, and not just as hairstyles for men with receding hairlines. When in doubt, go with the bun. This what the ladies always do, and we’re starting to believe they might be on to something. Apart from that, dreads can be used as a platform for adding extensions, if you want them. A modern and preppy look can always save you ina tight spot. This minimal Ivy League cut is fresh and cool. It doesn’t even try to hide the fact that there’s a receding hairline going on there. When you’re this cool, you don’t need it. 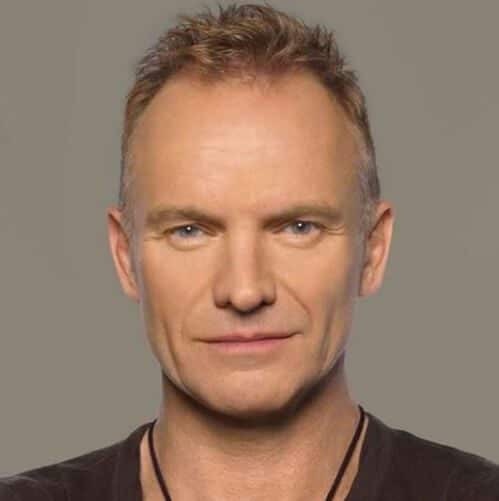 We have quite a few celebrities on our list of hairstyles for men with receding hairlines and Sting is just the first one. The ‘Fields of Gold’ singer is equally famous for his golden locks as he is for his receding hairline which he wears with pride and dignity. A lesson for us all if there ever was one! A mature hairline can be even more attractive in a natural salt and pepper color. We support the idea of not dying your hair and simply allowing it to gray naturally as you get older. It will be the same shade as your beard, which will only serve to make you more interesting. 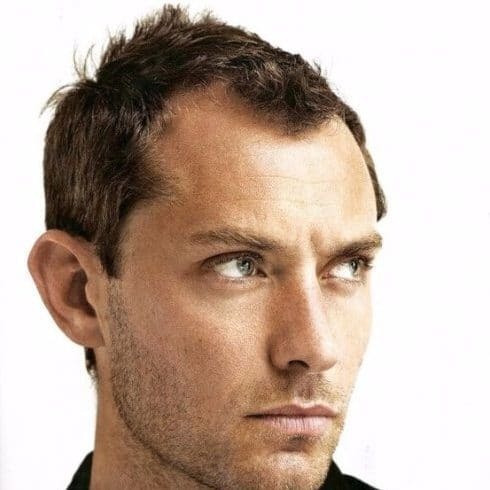 Even though he is officially recognized as one of the most handsome men in the world, Jude Law has a very pronounced case of alopecia. However, that doesn’t stop him from making appearances in movies or stealing ladies’ hearts left and right. 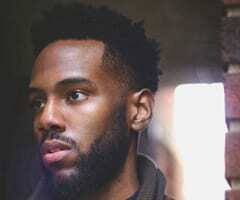 Here’s another Hollywood actor who might inspire you with his story. 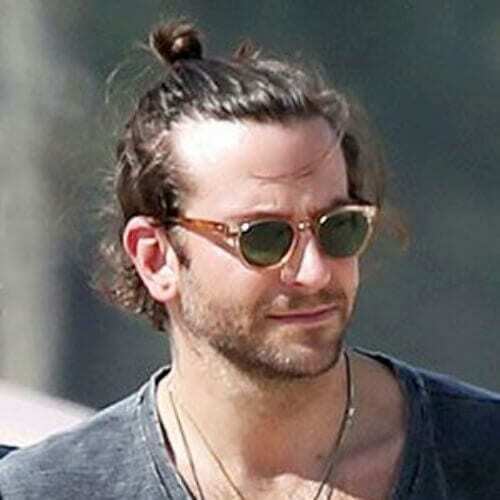 The very famous Bradley Cooper has the beginning of alopecia. However, that didn’t stop him from winning over supermodel Iryna Shayk and being a complete heartthrob. 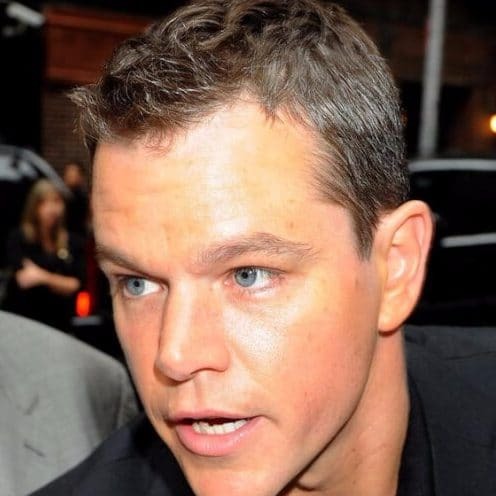 If we’re talking about hairstyles for men with receding hairlines, we need to talk about Matt Damon. He’s been a silver screen sweetheart ever since ‘Good Will Hunting,’ and no amount of hair loss will ever change that in our hearts. One idea in your battle with hair loss is cutting it as short as possible. 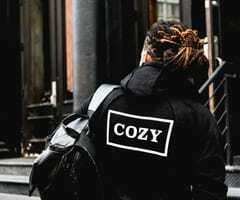 The buzz cut is a style borrowed from the military and which has slowly become a fashion trend the world over. Statistically speaking, most men prefer to cut their hair down to a few inches or even shave it all off when faced with hair loss. All or nothing at all, right? 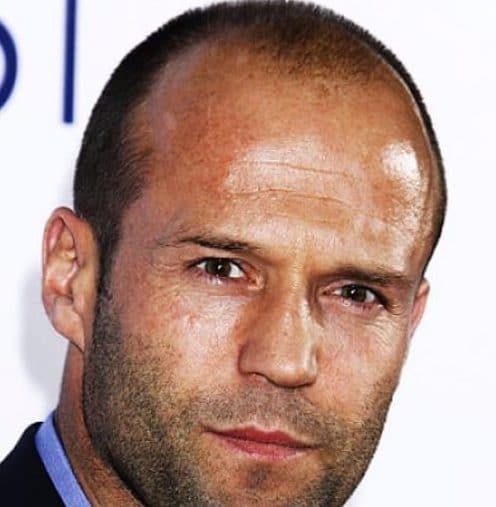 Mr. Tough Guy Statham’s advanced alopecia just goes to show that ladies simply don’t care. 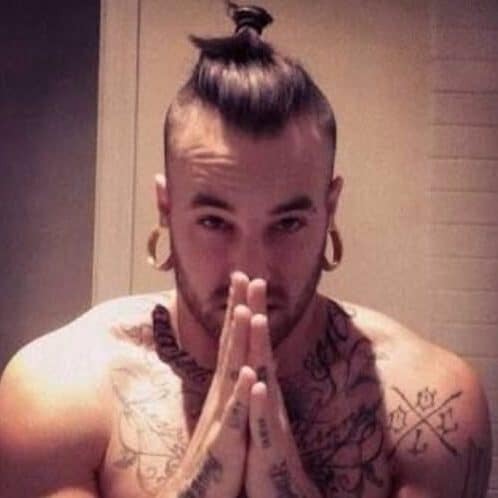 Does this mean that we don’t have to worry about hairstyles for men with receding hairlines? Maybe. Jason is happily married to supermodel Rosie Huntington-Whitley. As mentioned above, one of the ways in which you can approach hair loss is by going minimal. Some men believe this to be a sort of in-between solution, while others tend to think that, if it’s short, other might not notice the loss so much. What do you think? 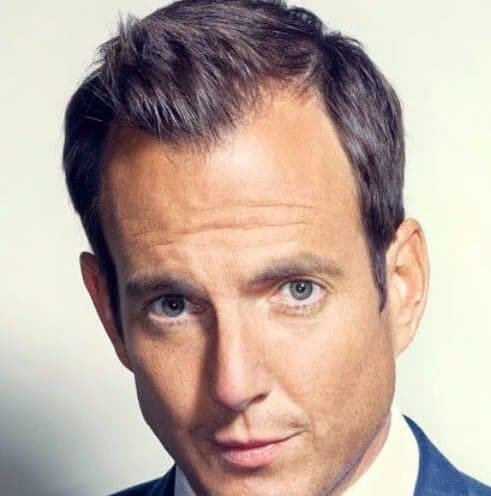 Another famous face on our list of hairstyles for men with receding hairlines is Will Arnett. He opted for a clean cut, almost Ivy League in shape, with a small unicorn pompadour in the front. If we said we don’t like it, we would be lying. 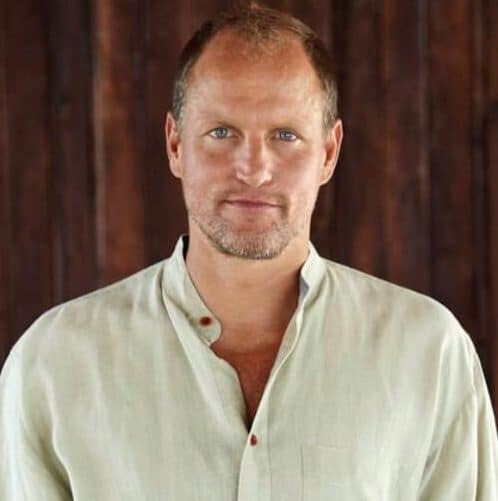 We are able to say that alopecia runs in the Skarsgard family because almost all the men in it are famous actors. We know and love them all and yes, they all have one form or another of male pattern baldness. Here is Alexander, Tarzan himself, with his natural reddish-brown hair carelessly parted to one side. 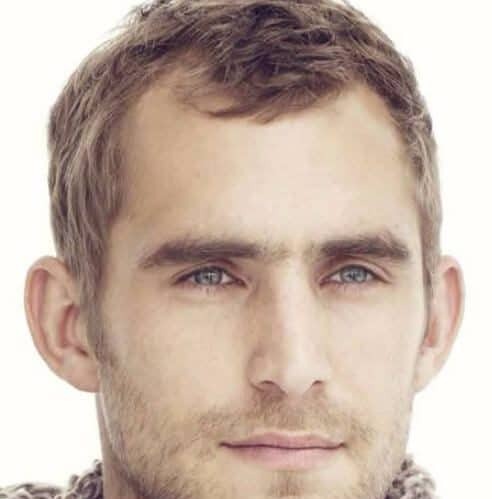 His brother and father are on our list of hairstyles for men with receding hairlines as well, so keep scrolling. 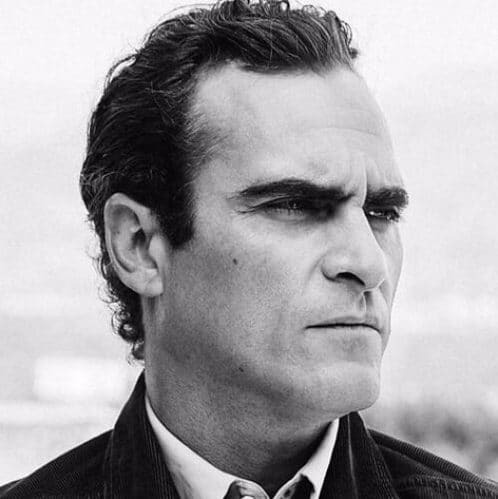 Joaquin Phoenix, the next celebrity on our list of hairstyles for men with receding hairlines has dark brunette hair which is now spiked with white threads. It’s also naturally wavy and he wears it slicked back over his head. 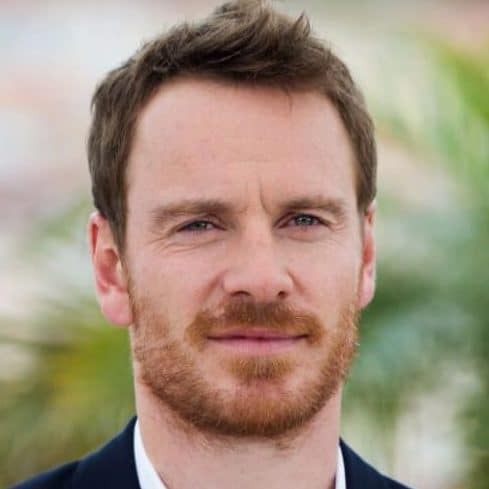 Although he is still in that phase which we call ‘the mature hairline,’ actor Michael Fassbender will need to start thinking about hairstyles for men with receding hairlines in a few years. Right now, his naturally chestnut hair is thinning, but his adorable red beard is still going strong. Probably one of the most famous bald men on the planet, Bruce Willis couldn’t look any better than he does right now. He just goes to prove that it’s all about the attitude. He’s a total badass and he knows it. Therefore, we are complete die hard fans of him, his movies, and his fashion and styling choices. 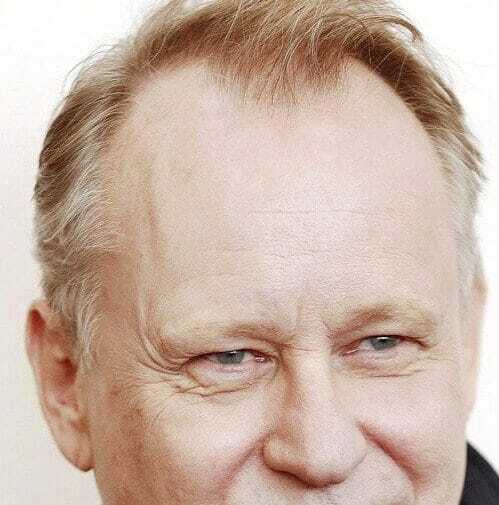 The papa of the Skarsgard clan is none other than Stellan himself. As far as hairstyles for men with receding hairlines go, you can see where sons Alexander and Gustaf inherit it all from. 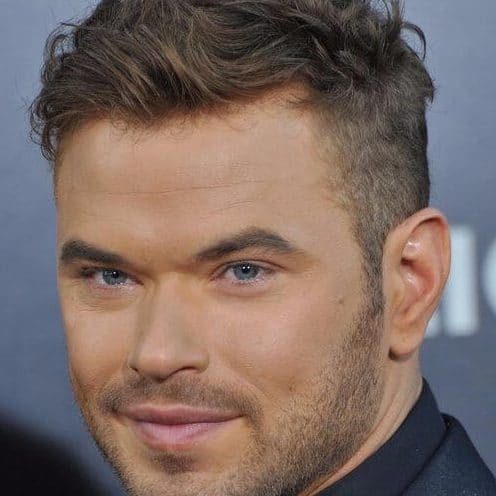 Little brother actor Bill is still too young for such hairstyles. 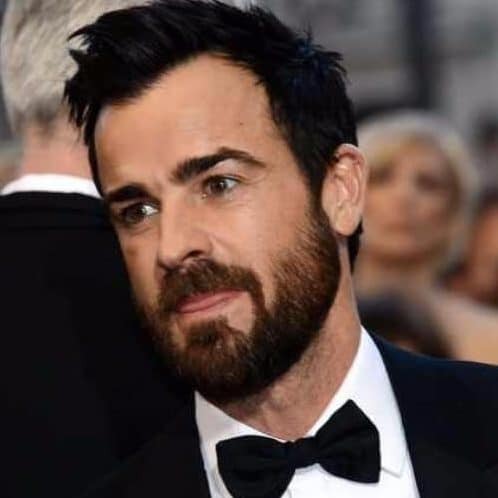 He came back into the limelight after voicing everyone’s favorite animated candlestick, Lumiere, in the box office smash hit ‘Beauty and the Beast.’ On this occasion, we also got to see his new and improved look, with a slicked back hairdo, ready to mask a slightly receding hairline. 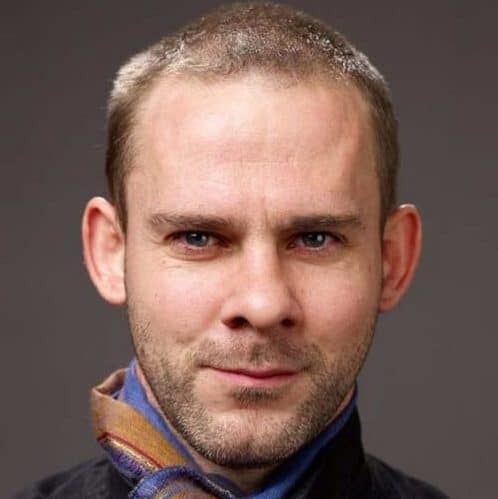 You know him and you adore him as the second breakfast loving hobbit Merry from ‘The Lord of the Rings.’ Now in his forties, Dominic Monaghan retains his ludic features to which the beginning of a small receding hairline is added. Elevenses? Luncheon? Dinner? Afternoon tea? Supper? Anyone? 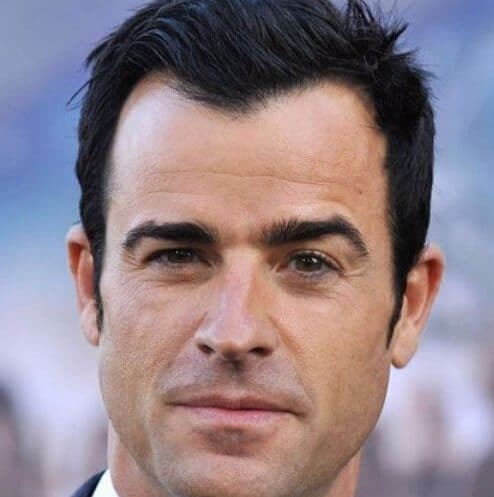 Ranking high on our list of hairstyles for men with receding hairlines is the widow’s peak. It’s very modern and sought-after look, which you might want to consider if you want to upgrade your appearance. 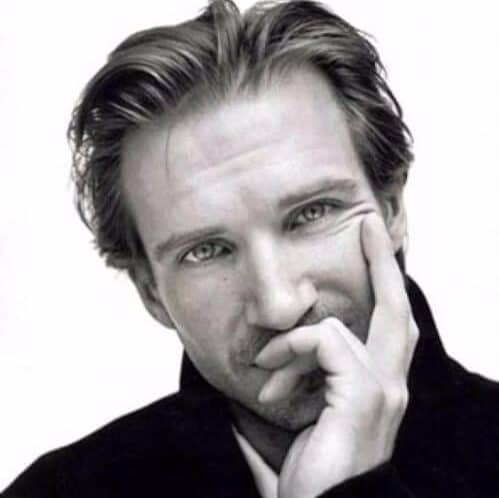 Even though he went completely bald for his role as the Dark Lord in the Harry Potter series, actor Ralph Fiennes usually wears his hair in a medium length cut which he slicks back over the crown of his head using a bit of hair gel or hair wax. Here’s a second character from the ‘Lord of the Rings’ on our list of hairstyles for men with receding hairlines after Merry. This time it’s our king, Aragorn himself. 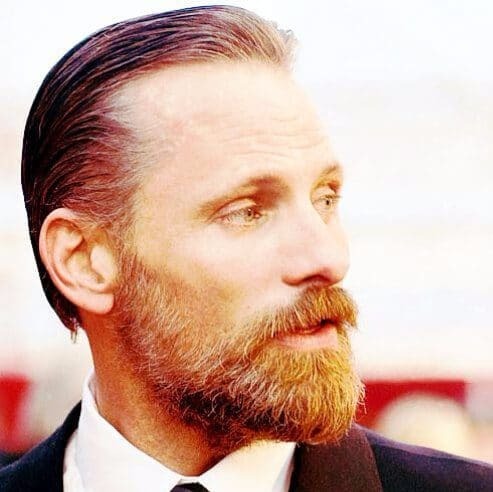 Actor Viggo Mortensen does not sport long hair in real life, but a slick back hair do and a bushy, beautifully trimmed reddish beard that is making us all jealous. Here is one Hollywood actor with a typical male pattern baldness that didn’t want to quit on his hair just yet. 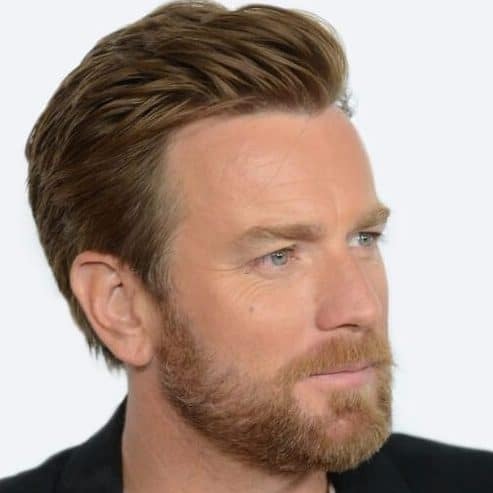 He refuses to shave it all off like many of his counterparts do and we completely support him for it. His naturally sandy blonde hair complements his baby blue eyes. Are you receding in the front and on the sides? No problem. Shave it off and let one of today’s hottest hair trends cover it all up. It’s the samurai bun, that comes equipped with an under shave. It’s the most badass you will ever look and no one will even know that your hair is thinning a bit. When your hair is this luscious and raven in color it really is a shame that it starts to thin. 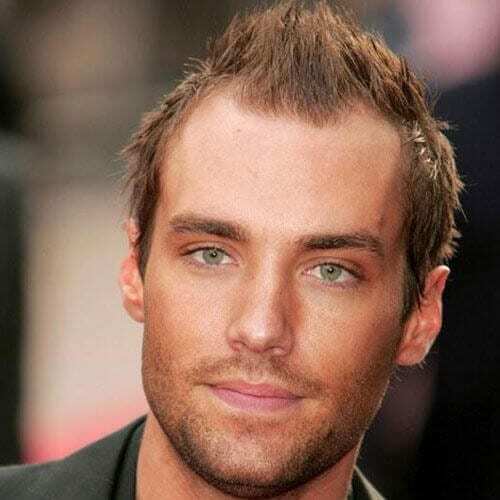 However, there are solutions and hairstyles for men with receding hairlines just like yours as well. Comb it all up toward the front and use a bit of hair wax to give it a messy look. It will add some much-needed volume and depth to it. If your hair is naturally wavy or curly than half your job is already done. The reason is that waves or curls mean a lot of volume by default. Therefore, you can use them to cover up bald spots as well as receding hairlines in a very natural way. Sometimes, you can make up vertically for what you lack horizontally. This is a high quiff or a version of the pompadour if you prefer it so. It takes the eye away from the receding hairline and makes it look like you have a lot more hair than you do in reality. 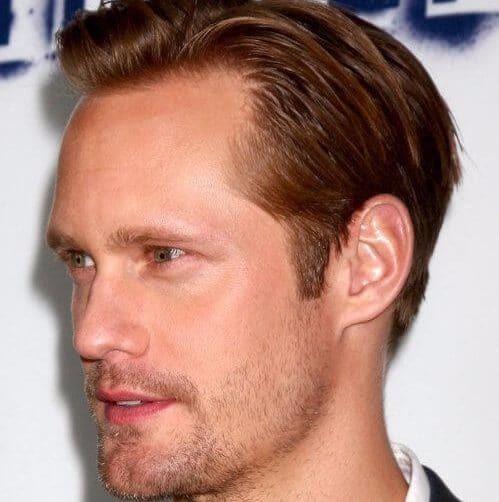 We have now reached the third Skarsgard on our list of hairstyles for men with receding hairlines. His name is Gustaf and you might recognize him from a little show called ‘Vikings’ where he expertly plays Floki. 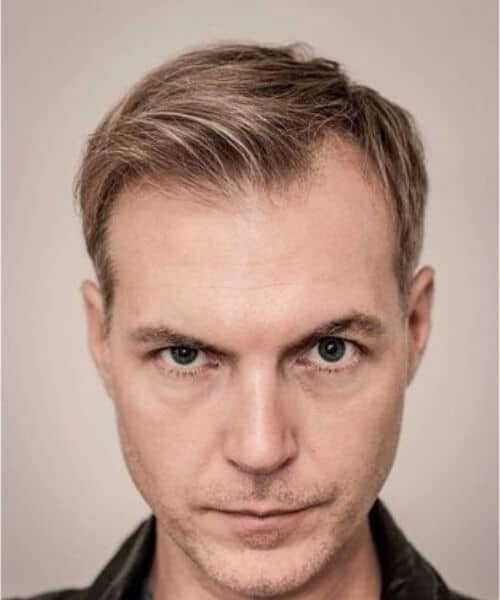 In real life, he wears a buzz cut or shaves his head altogether, which doesn’t distract us from his magnificent bone structure and piercing blue eyes. Yes, even though you might not have thought it possible, modern day hair styling has brought this idea to life. You can even get a hard part and an under shave when you have a receding hairline. And we have to say we are loving the results right now! That’s right, not even James Bond could escape such a natural thing as male alopecia. Therefore, he too has to turn to different hairstyles for men with receding hairlines. His haircut of choice is a simple and layered style that he neatly slicks back to reveal his wide forehead and those steely blue eyes. 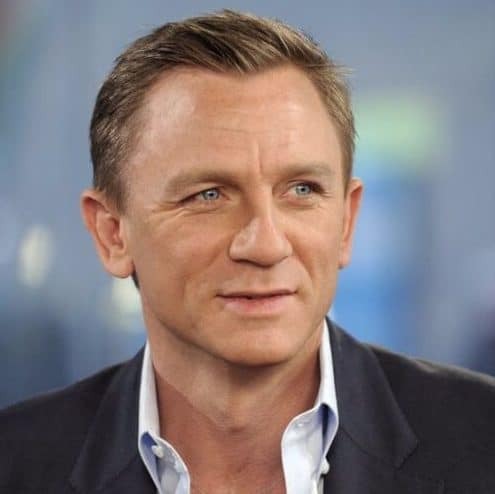 Well, if James Bond was not immune to alopecia, what can we say about a member of the royal family? 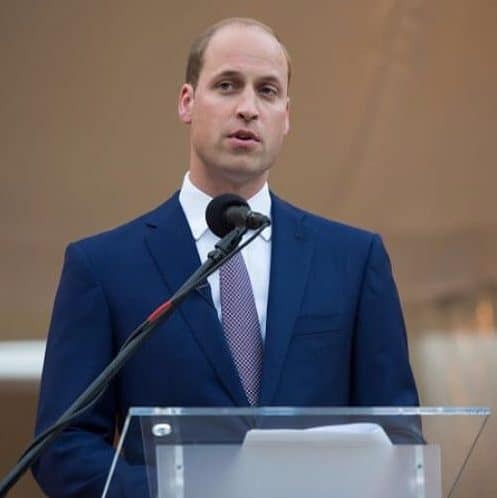 Prince William sadly lost those gorgeous baby blonde locks that he used to sport when he was younger. Now, in his more mature years, he resolves to hairstyles for men with receding hairlines as well. When in doubt, ask yourself this: what would the King do? No, not the future king of England whom we’ve just discussed, but the King of rock’n’roll himself, Elvis. 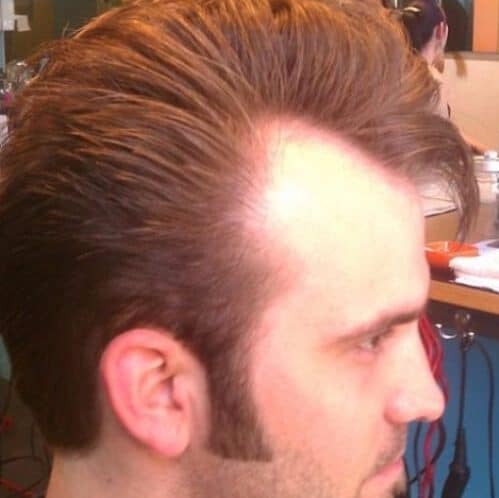 What would you get if you combined hairstyles for men with receding hairlines and the image of an Elvis impersonator? The result is not bad. 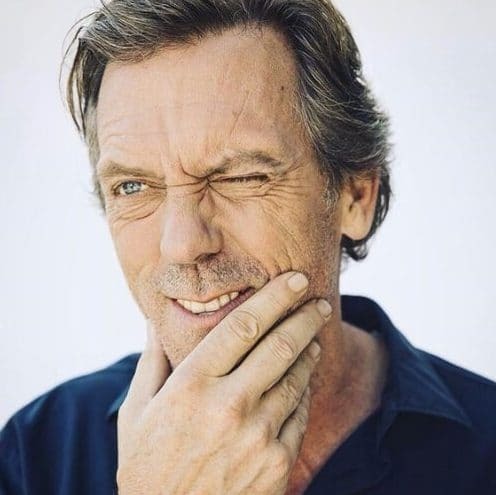 A living legend for his roles in ‘House, M.D.,’ ‘A Bit of Fry and Laurie,’ ‘Black Adder,’ and ‘Jeeves and Wooster,’ Hugh Laurie aged just like a fine wine. In fact, a few years ago he advertised a well-known brand of men’s care products. The prints warned us all that, if you buy them, no, you will not get Hugh Laurie as well. 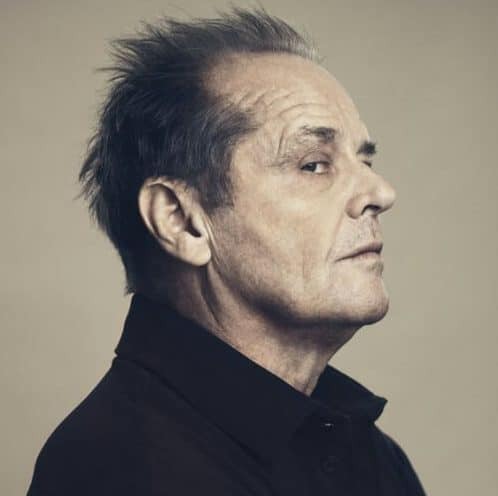 Another screen legend is none other than actor Jack Nicholson. Although he does have a receding hairline, it hasn’t advanced much throughout the years, allowing us to keep seeing the same face we know and love on the big screen. 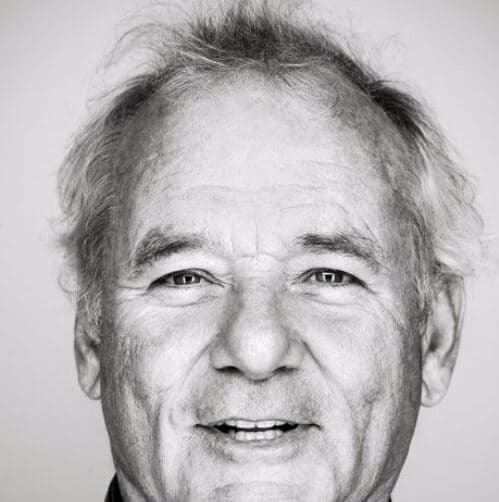 Actor Bill Murray hasn’t changed all that much either, in terms of hairstyle. If you remember him from when he was young in movies such as ‘Ghostbusters’ or ‘Groundhog Day,’ you’ll agree. His hair is a bit whiter now but we love him all the same. We’ve intentionally left him for last because he has taken a very interesting approach to hairstyles for men with receding hairlines. 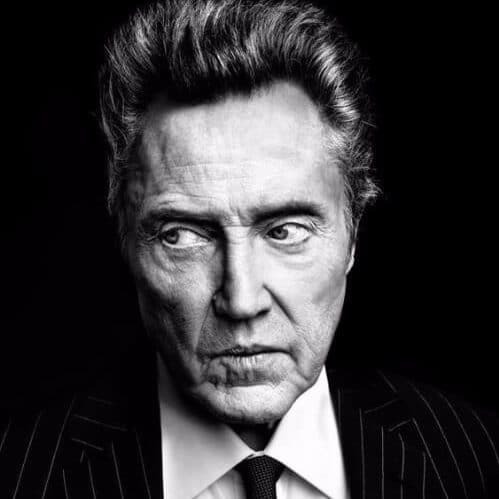 Actor Christopher Walken’s signature hairstyle is slicked back with no parting but also very high up in a teased and voluminous pompadour. It’s one of a kind, just like him. 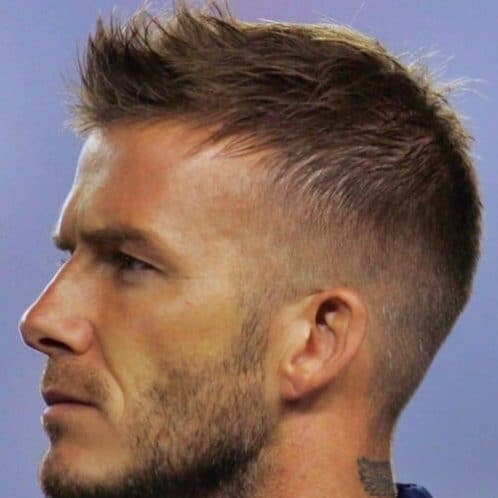 Another way in which you can add some volume to your hair if it is thinning is by going for a layered haircut. Putting it in simple words, layers add volume. Brush it all up and secure it in place with some hair wax or hairspray. Spikes were a huge deal back in the 90s and 2000s, but you can use them today to your advantage as a means of hiding thinning hair and a receding hairline. Plus, they still look really cool. 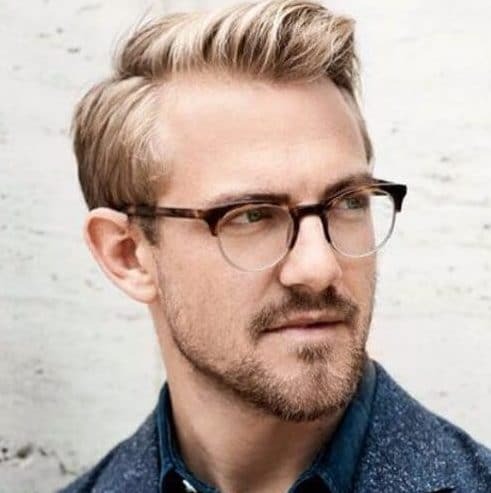 We’re in love with this blonde hair and beard combination, and we simply cannot get enough of the long slick back plus taper fade. This is as contemporary as you can get with your haircut, even if your hair is fading. 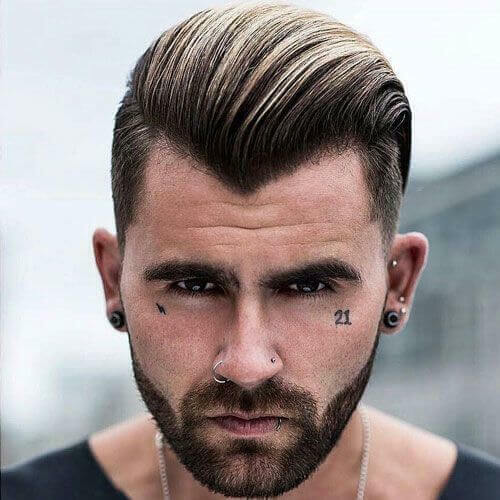 As the name suggests, this haircut benefits from a side part that has been slicked to the sides using hair gel or hair wax. 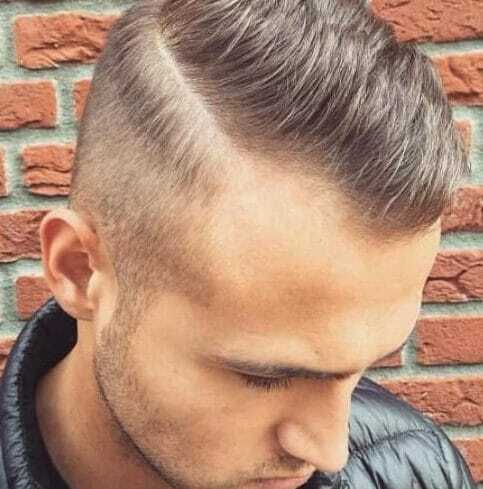 The hairline is receding in a classic fashion but is disguised by the parting itself. 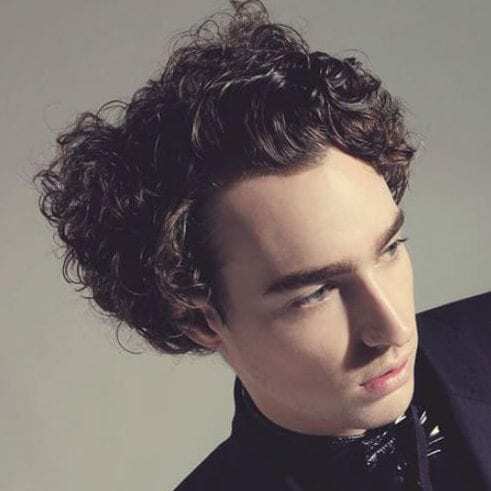 This type of curly hair that has been blown out will definitely distract anyone’s attention from a receding hairline. Moreover, it will have onlookers focus on your beautiful and luscious curls rather than anything else. For most men, hair loss is inevitable. However, loss doesn’t have to equate to defeat, as you might have noticed from this list. 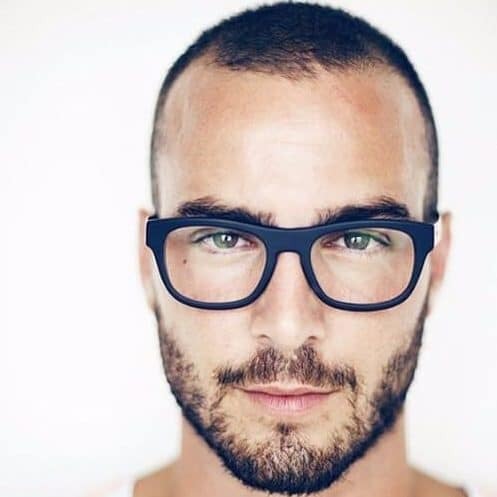 What do you think about our selection of hairstyles for men with receding hairlines? Have any of them inspired you or will you prefer to shave it all off and be done with it? Let us know in the comment section below because we cannot wait to hear from you!